I think it is just the sweetest thing when Chloe wants to sleep with her baby doll, that little girl sure knows how to melt my heart. Loving: My new contacts! This is the first time I have worn contacts in over two years and it feels so good not to have to wear my glasses all the time now. I love it! Watching: Catfish the tv show, Teen Mom, The King of Queens, and I cant believe I'm admitting this but I watched the first episode of the new season of The Bachelor.... and I kinda really liked it! Listening to: Lots of Led Zeppelin, Beach House and Lana Del Rey these days. Thinking about: Money, jobs, our future, finding a place of our own, weaning, making some big changes to my diet. As you can see I have a lot on my mind lately. I think the biggest things on my mind though are money, finding a place of our own to live, and starting the process of weaning Chloe, which I will write more about in a separate post. Looking forward to: Taking Chloe to the Shedd Aquarium in Chicago. It's been too long since we've had an adventurous day as a family. Making me happy: My little family! That picture is so sweet! Oh and isn't that catfish show addictive?! Thank you Eliza, she melts my heart! and yes that show is sooo addictive! Thanks! This will be the first time we have taken Chloe, I cant wait, I think she is really going to love it there! 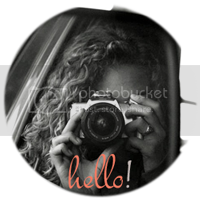 Hi Melissa, thanks for stopping by my blog and becoming a new follower! Glad to have found another Lana fan! That picture is so cute. 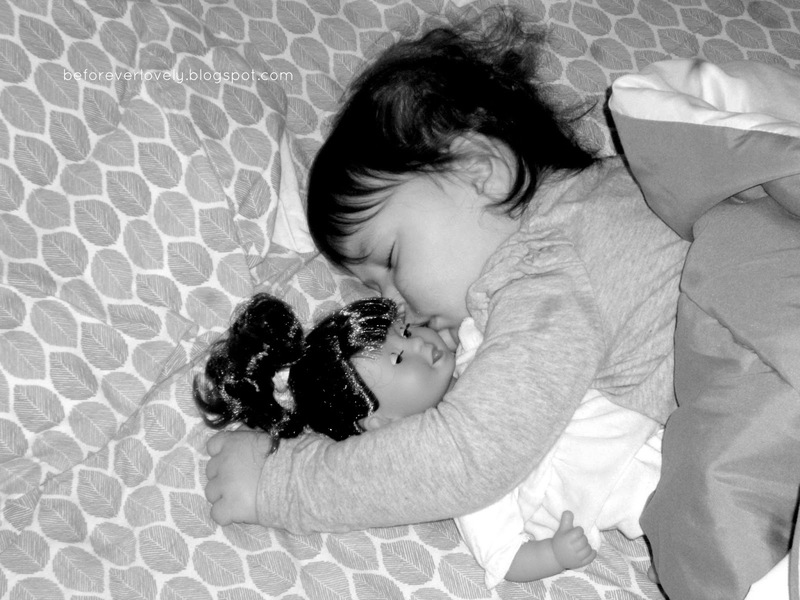 She fell asleep hugging her doll. To much thinking! I'm right there with you, mama. It's paralyzing when you have so much on your mind, isn't it? And I am interested to hear how your weaning goes. We have recently reduced Loretta's daytime nursing by about 4 ounces and I intend to reduce again in a couple of months. It's such an emotional journey. I hope Chloe does great, and you too, good luck! That picture is adorable! The sheets are pretty great too.